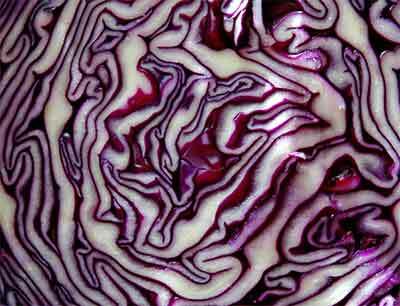 Red cabbage is not just for Christmas. Try this crunchy mix as a substitute for cooked veg with roasts and winter stews. 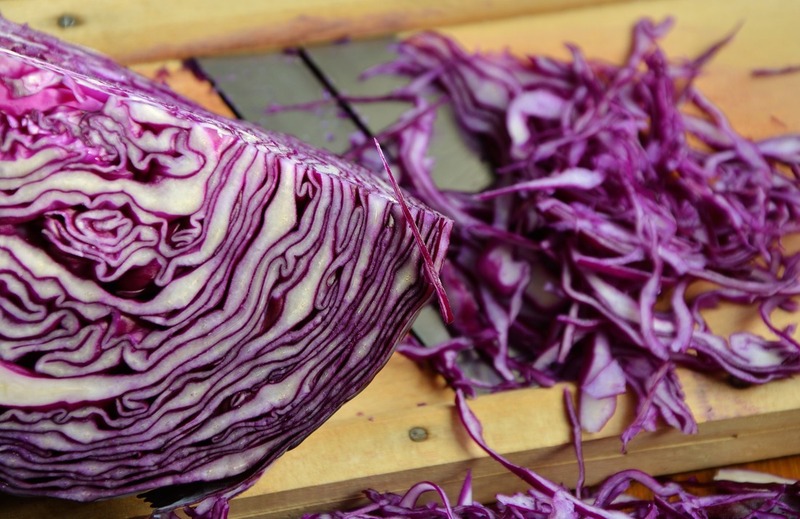 Shred the red cabbage finely, discarding any tough, whiter bits of stalk. Slice the carrots finely and add to the cabbage. Peel and grate the ginger very finely, then add to the vinegar. Pour over the vegetables, mix them gently then put aside, covered, for an hour. Toss occasionally to keep the veg moist. Cut the fennel in half, then slice thinly and add to the cabbage mix. Cut the grapes in half. Put the egg yolk in a bowl, stir in the mustard and a pinch of salt, beat in the olive oil. Pour the dressing onto the salad, then add the grapes, almonds and radish sprouts.